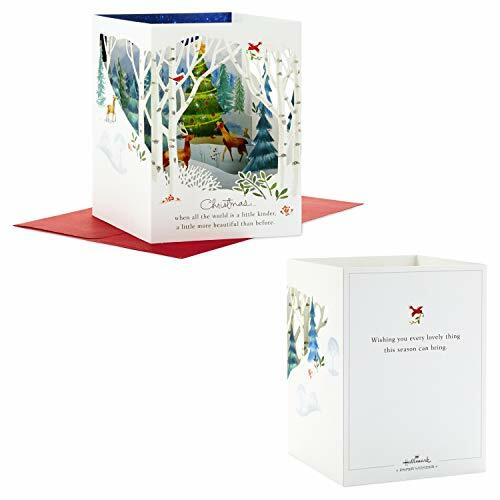 This elegant card unfolds into a beautiful holiday surprise that can be kept as a keepsake and put out year after year as a decoration. 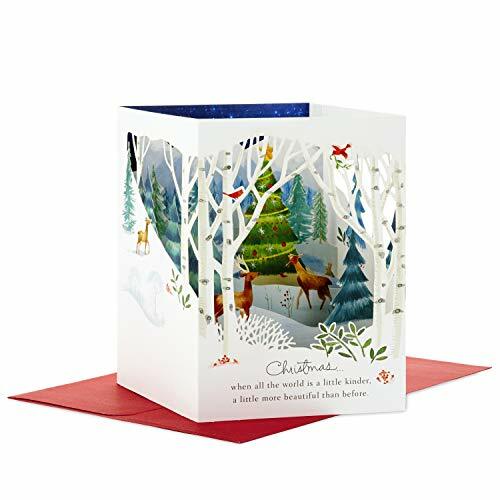 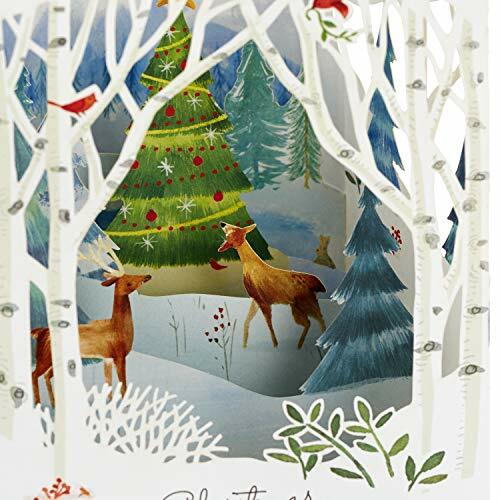 Christmas pop-up card includes season's greetings and unfolds into an impressive diorama showing a decorated Christmas tree, deer, birds, and more in a snowy forest setting. 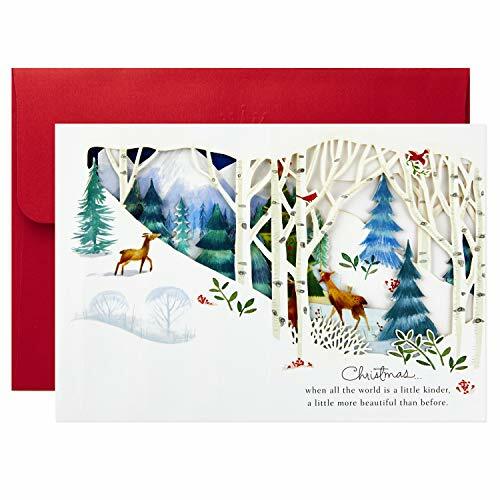 Card includes the message: "Christmas... when all the world is a little kinder, a little more beautiful than before. 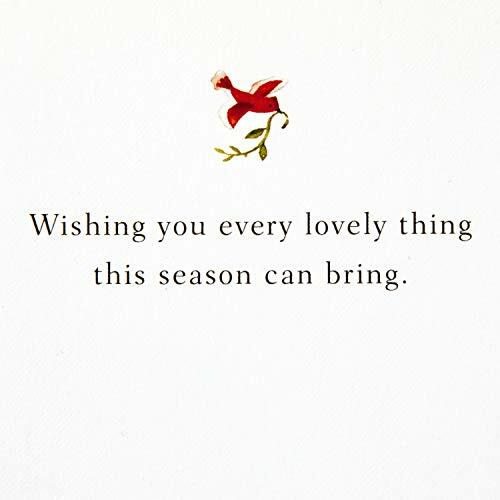 Wishing you every lovely thing this season can bring." 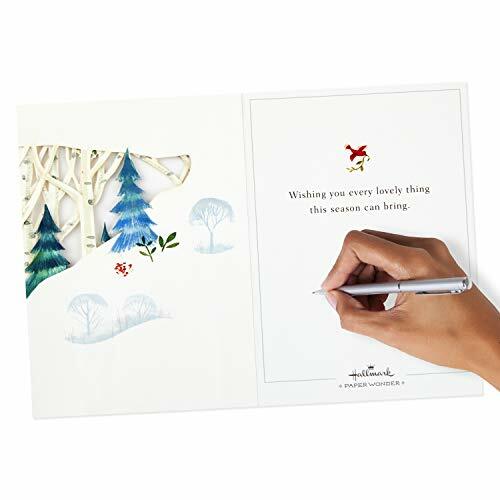 Personalize by writing your own message on the back. 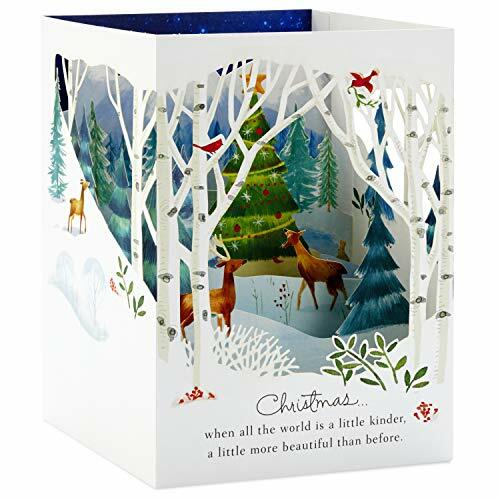 Intricate paper layers create a complete Christmas scene including perfect details like a sled, holiday lights, and a garland. 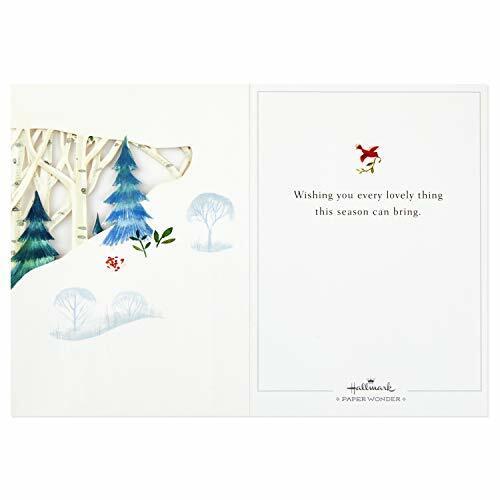 Holiday card measures 6.6" x 9.4". 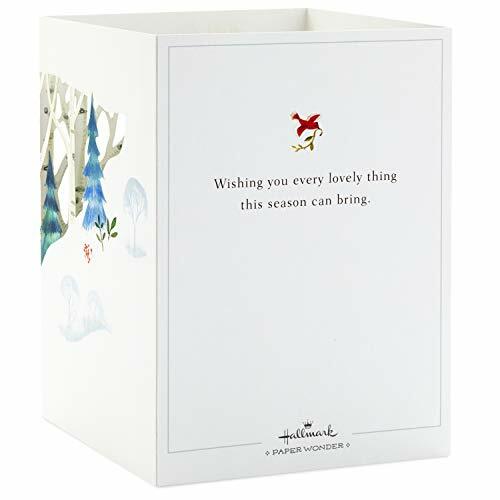 Crafted with high-quality paper materials, all Hallmark greeting cards are made with paper from well-managed forests.